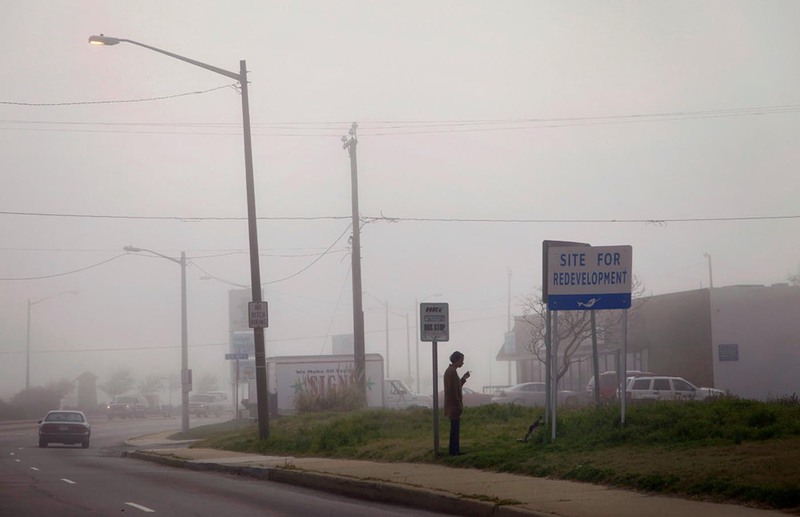 On a foggy morning, a woman waits at the bus stop near the site of a demolished motel. The beach and former amusement park in Ocean View were popular tourist destinations from the late-1800s until the 1970s. Recent redevelopment is aimed at replacing motels and cottages with upscale properties.